Tomorrow is our first day of school. I feel mostly prepared, but tonight, as I was sitting here trying to get the last minute items organized, I realized I didn’t have a way to organize our supplies. We complete our lessons around a table in the living room/homeschool room, and there are no desks or pencil cases anywhere to be seen. So I took the small mountain of school supplies and a kitchen utensil organizer I had on hand and got to work getting myself organized. Nothing like waiting until 11:30p the night before school starts to get organized! 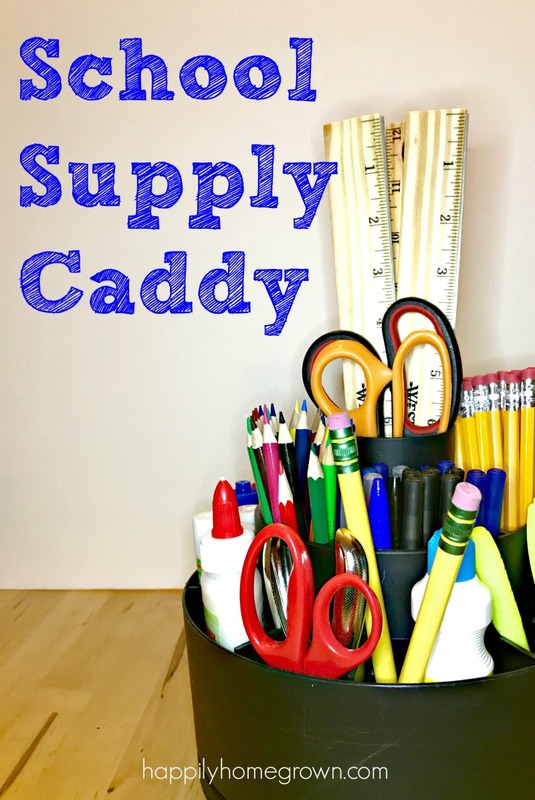 What’s in my school supply caddy? That’s a whole lot in a really compact space. The trickiest items to place in our school supply caddy were the crayons, pink erasers, and glue sticks. They are all shorter than the walls around the section where they were put. To compensate for the height difference, I put a small ball of foil in the bottom of the well where I wanted to put the shortest supplies. It did the trick! 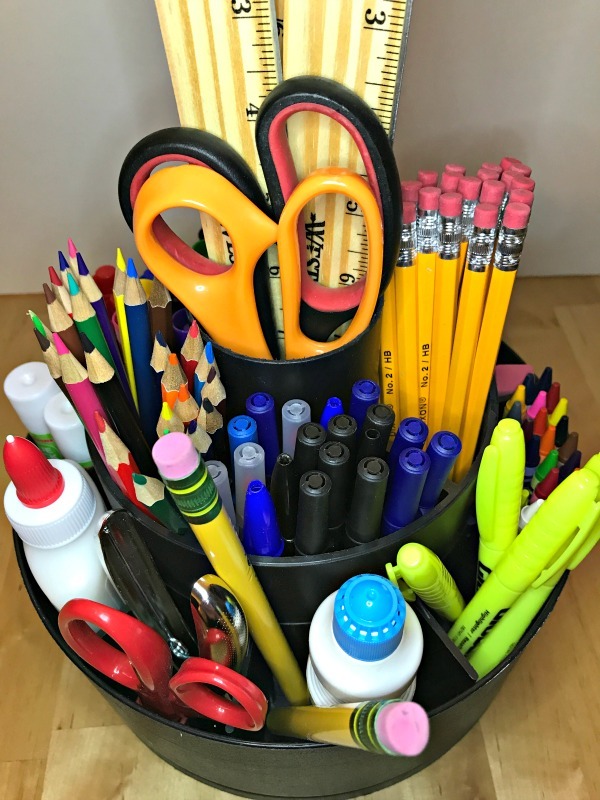 Teachers may want to consider keeping a caddy like this on your desk or at various centers in your classroom so the students will have everything they need right at their fingertips and won’t have to interrupt you while you’re in the middle of a small group lesson. And parents, this is the answer to your child asking you a bazillion times where the supplies are for their homework or school projects. I’m now calling it a night. Lots to do tomorrow for the first day of school. I hope everyone has a terrific school year!